Kalki Koechlin at the inaugural Spoken festival in 2018. A few years ago, actor, RJ and impresario Roshan Abbas noticed that many of his friends—including independent musician Ankur Tewari and actor Gaurav Kapur—were feeling disillusioned with the professional grind and looking to try something new and exciting to rekindle their creative passion. An inveterate problem-solver, Abbas gathered his friends at a bungalow in Versova, Mumbai, in 2015 to start Kommune, an artists’ collective that uses digital tools to help create and promote original performance art with a special focus on storytelling. A little over three years later, the organization has helped put Indian storytelling and spoken word on the global map with its festival Spoken, which returns to Mumbai’s Jio Garden for its second edition on 12 and 13 January. Acts in the line-up include American rapper Akua Naru, American spoken word poet Blythe Baird, Kashmiri Sufi rock band Alif and American performance artist Alok Vaid-Menon. “I felt we needed something as honest, raw and real as (New York storytelling not-for-profit) The Moth in India," says festival director Abbas about Kommune’s decision to focus on storytelling as a form. “Once we started, our audience kept growing till we were selling out 100-odd capacity shows every weekend and had 200,000 subscribers on YouTube. So we put together the first Spoken festival to see if we could create the ‘holy grail’ of spoken word in India." With Kalki Koechlin’s collaborative performance with a band becoming one of the highlights of the inaugural edition, this year the focus has been on getting artists to work together. “My philosophy is that the festival needs to offer something that you’ve never seen before and never will again," says Abbas. “So this year we asked artists to collaborate a lot more. We’ve got a poet collaborating with 50 actors, for example, and two actresses who are enacting a scene at the bar." 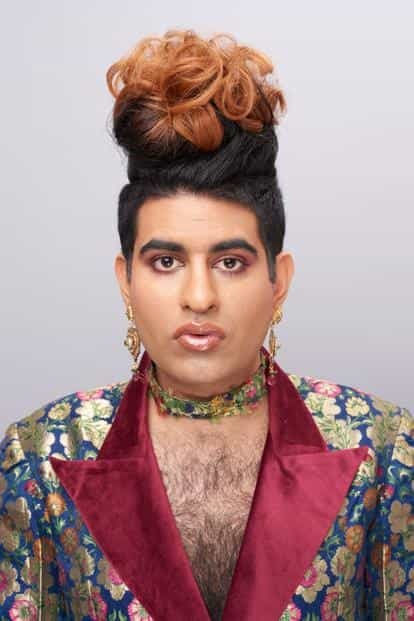 Alok Vaid-Menon will perform at this year’s edition. Attendees will also get a chance to interact with many of the artists during a series of eight workshops by the likes of Ankur Tewari, poet and actor Danish Husain, Alif frontman Mohammad Muneem and many more. There are also some other surprises in the works, including Camp Tinder, a special area where many of the performers will be making pop-up appearances. Abbas believes that Spoken is a platform for a spoken word/poetry scene whose time has come. “There’s definitely a wave, and I think I’m justified in calling this the third wave of content," he says. “This is where we’ll find the poet of conscience for New India and the mindful millennial." For details, go to Spokenfest.com/schedule.